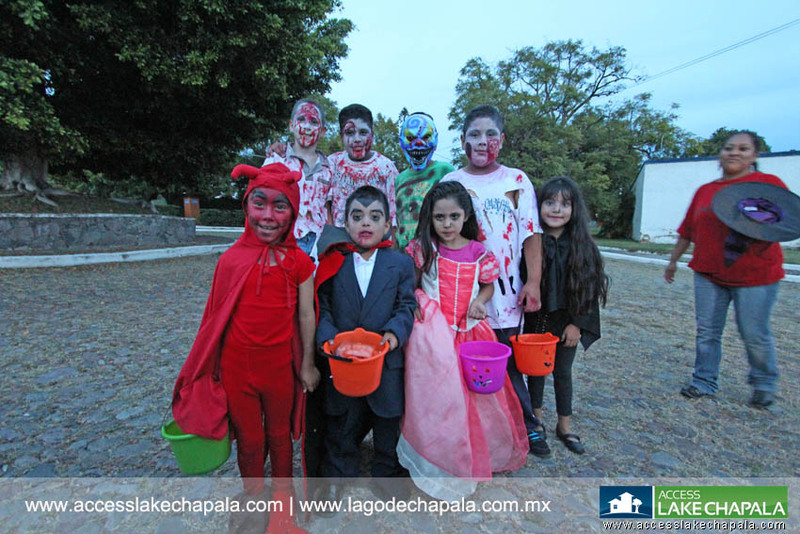 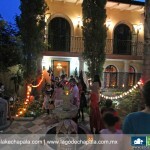 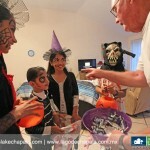 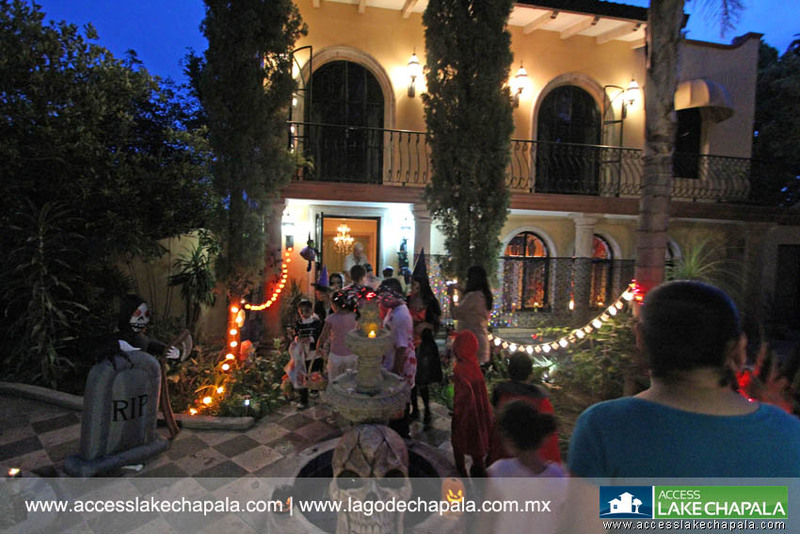 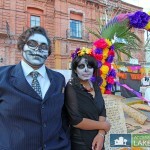 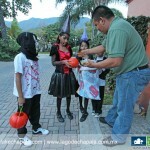 Although a North American tradition, Halloween is celebrated in the Lakeside area. 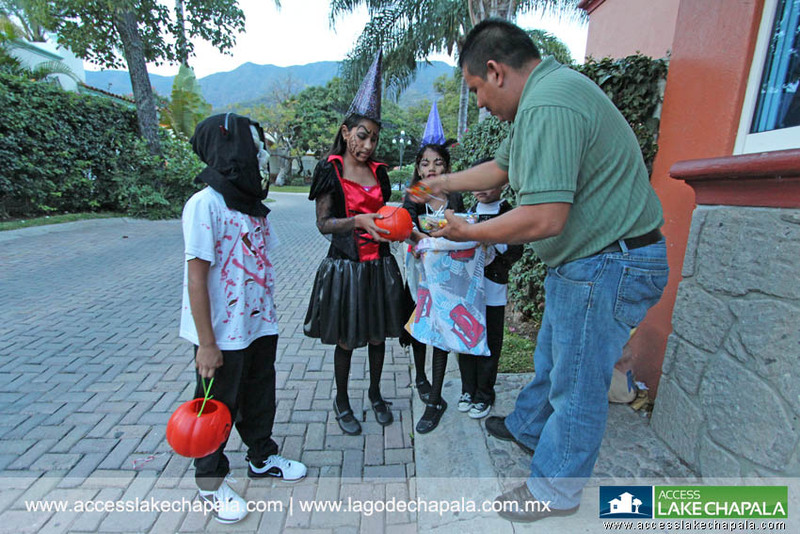 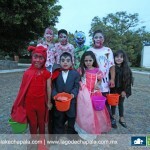 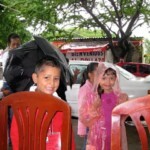 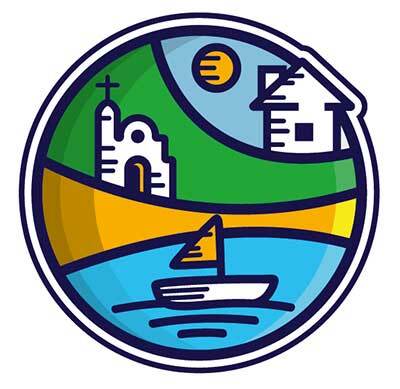 Right before nightfall you will see kids trick or treating in all the local gringo neighborhoods, why those neighborhoods? 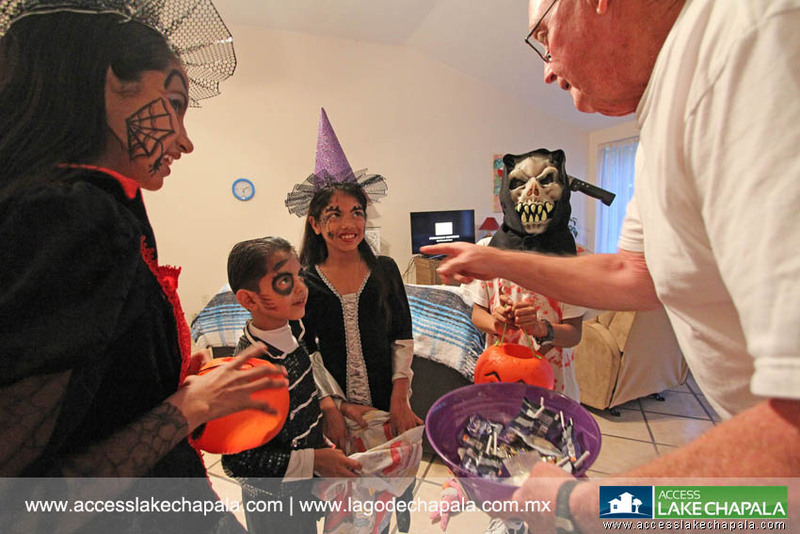 Well the expats give out the best candy. 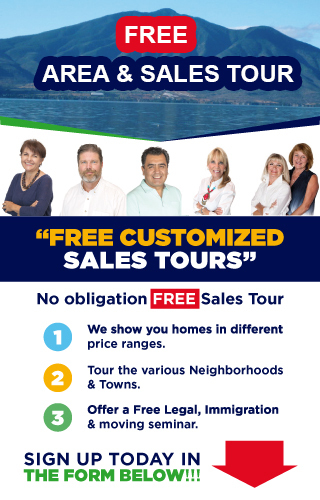 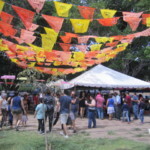 The most visited are: La Floresta, Chula Vista, Mirasol, La Huerta and Riberas del Pilar. 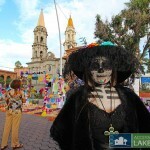 The Day of the Dead is a true Mexican tradition and although Halloween is fun, the day of the dead is a beautiful event. 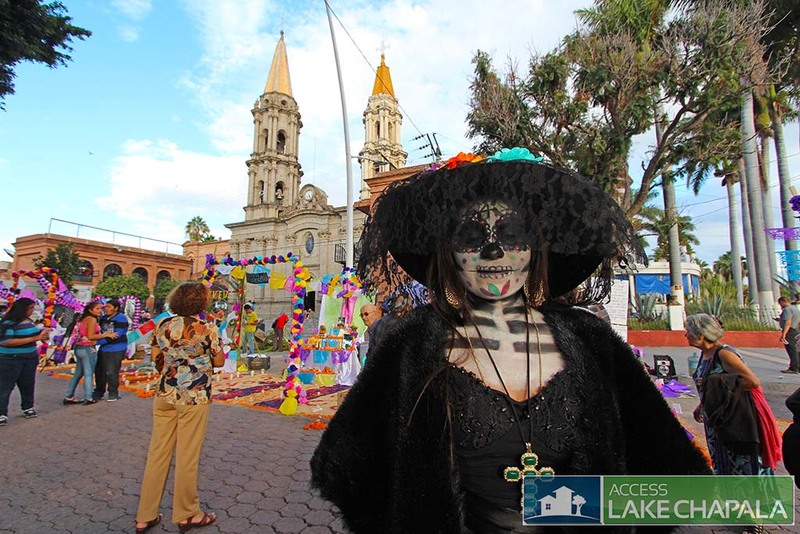 In Spanish it is called ¨Dia de los Muertos¨, is a very important and popular in event which celebrates the passing of loved ones. 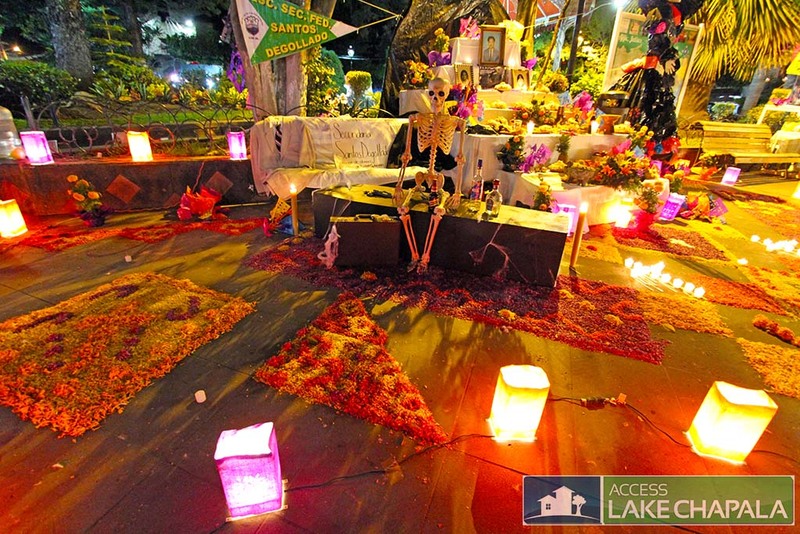 It is a way for family members who lost loved ones to bring them back for a one day special visit by honoring and remembering their presence in making an altar and filling it with items that person once enjoyed. 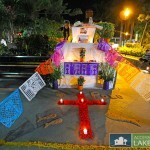 Most commonly the altars have marigold flowers, skull, candles, food, possession and even a picture . 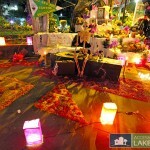 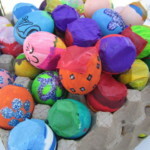 All these items are known as offerings and are meant to guide the loved one back. 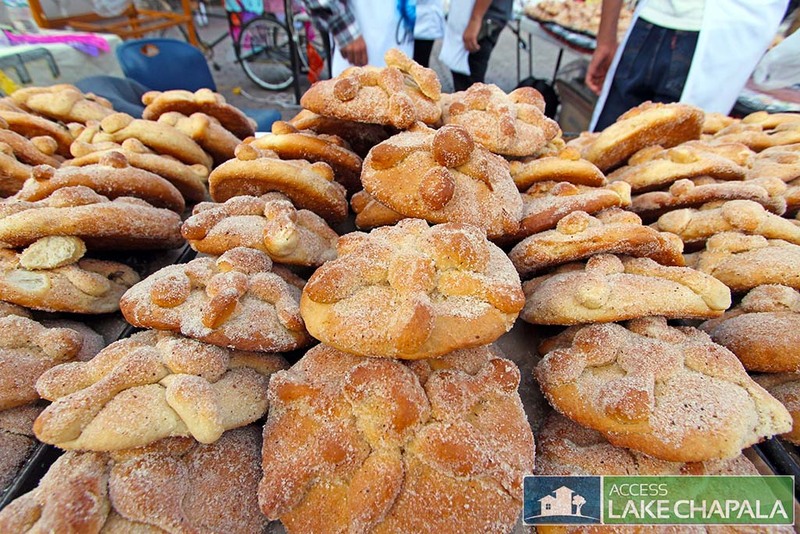 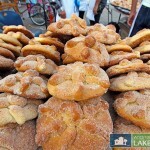 The traditional bread of the dead ¨Pan de Muerto¨is offered on each altar in case the loved one is hungry, even soap and water is often seen in the altars so the dead can wash up upon arrival. 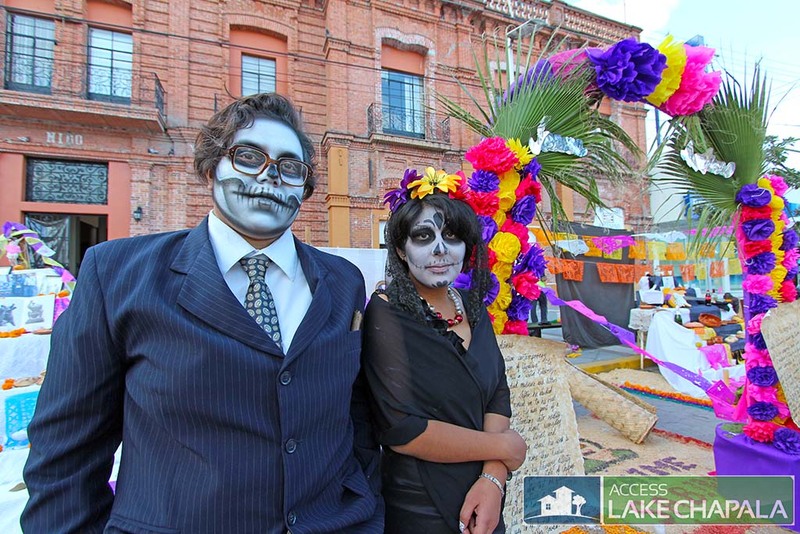 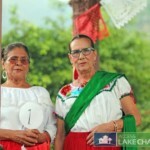 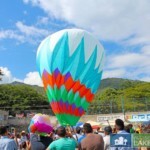 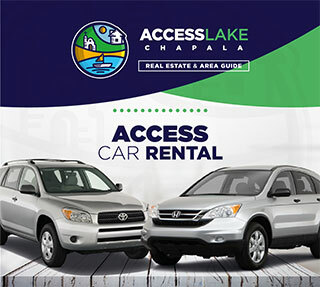 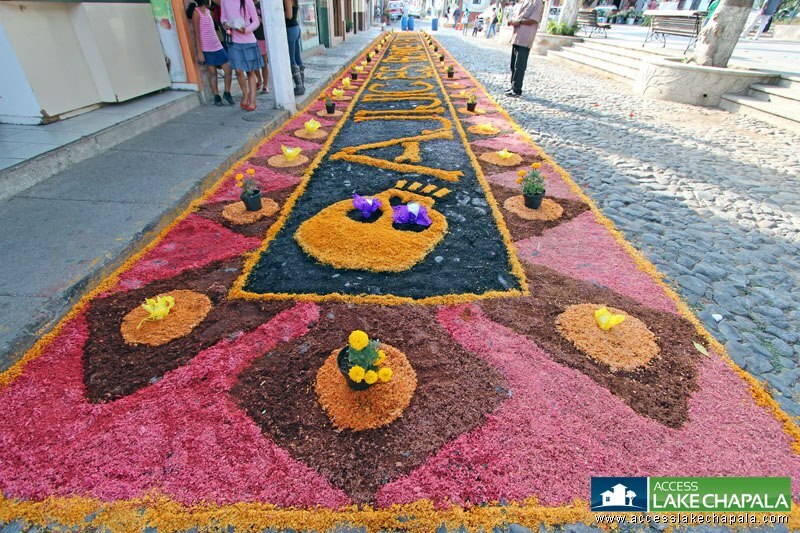 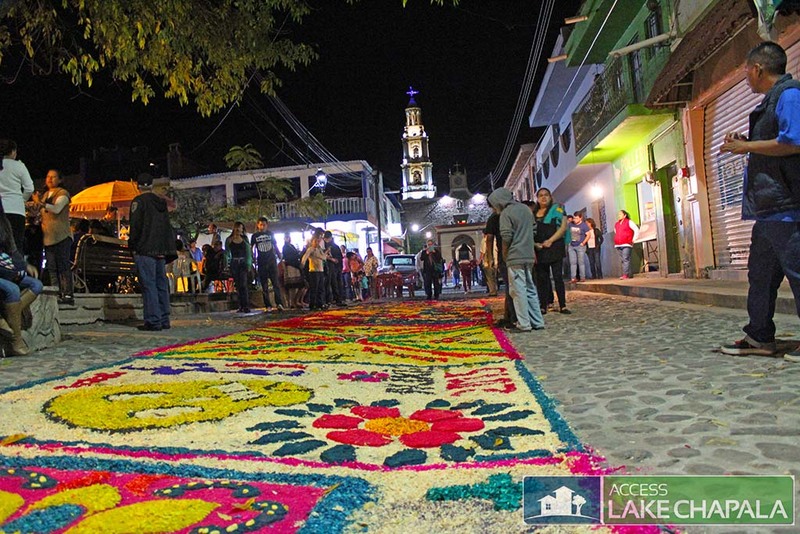 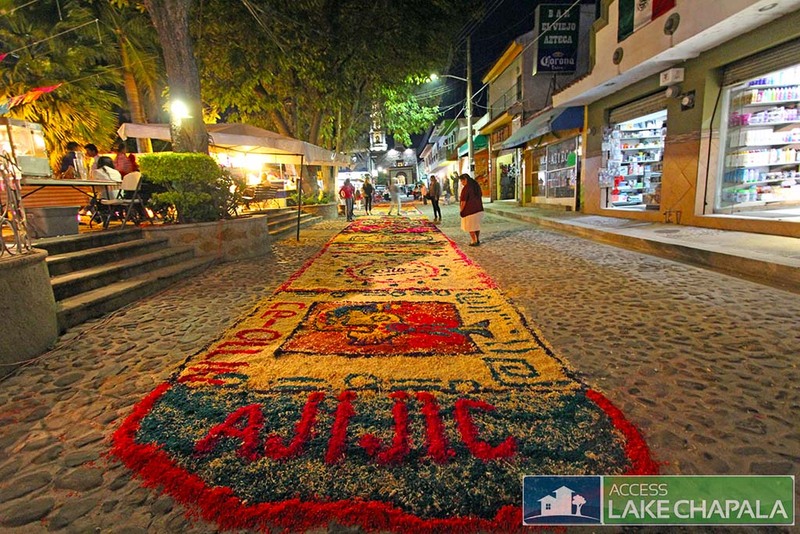 All Lakeside towns including Ajijic, Chapala, San Juan Cosala and Jocotepec celebrate this day with altars lined up along the main square or Malecons. 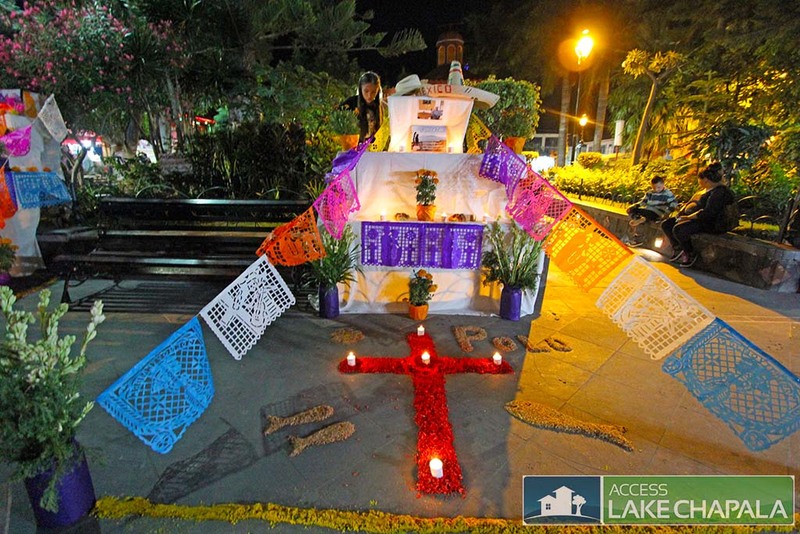 To see them all you would have to drive to each town and experience all the Altars, however the most popular is in downtown Chapala, where even the city hall building opens its doors to public where they have set up their own altars. 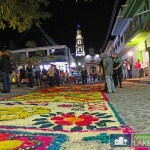 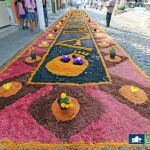 In Ajijic the altars are down the main Paroquia street and displayed on the plaza. 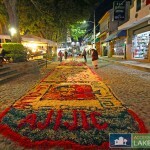 Once night falls celebrations begin on the main square in Ajijic with music, dancing, people dressed for the occasion and of course great food.